T-64. 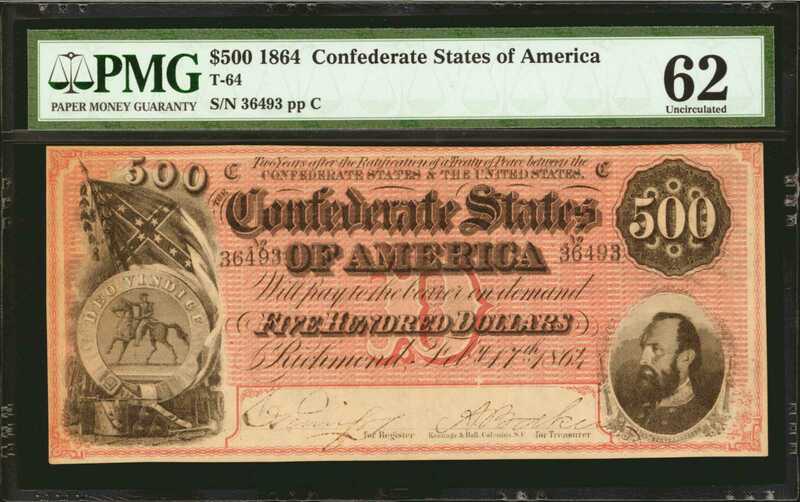 Confederate Currency. 1864 $500. PMG Uncirculated 62.No. 36493, Plate C. PF-3. A crisp 1864 $500 featuring a deep red underprint and the portrait of Confederate General Thomas "Stonewall" Jackson at bottom right. The note is cut better than the numeric grade would suggest with plenty of margin along three plus sides.